Should You Become a Firefighter? Firefighters like the policemen are the first responders in emergency situations. While policemen protect life and property of local residents, similarly firefighters also protect life and property. In addition, they protect the environment which may be at risk due to fire. A firefighter’s work can be very dangerous. In addition, it is a very challenging career since firefighters are always on call at fire stations where they eat and sleep during 24 hour shifts. So, if you are thinking of becoming a firefighter, you need to be aware of these facts. If you are interested in knowing more about firefighters, then continue reading. On the whole everyone knows what firefighters do. They respond to fire related emergencies and put out fires which may damage life, property and environment. However, their daily duties may entail a lot more responsibilities than what meets the eye. When firefighters are not responding an emergency call, they are present in the fire stations, performing practice drills and inspecting equipment. In short, firefighters are always on duty. Some firefighters are especially trained to respond to chemical and other hazardous materials emergencies. They respond to chemical accidents and oil spills. They work alongside hazardous materials removal workers. There is another type of firefighters known as Wildland Firefighters. They are especially trained firefighters that are responsible for controlling forest fires with heavy equipment and water hoses. There is a sub-category of Wildland Firefighters too, known as smoke jumpers. They parachute from airplanes to reach those areas which are otherwise inaccessible. Firefighting is one of the most honorable ways of earning a living, with thousands of people aspiring to become a part of this field. The following statistics are taken from the US Bureau of Labor Statistics (BLS) and reflect firefighters median annual wages as of May 2017. On the job growth side, firefighters jobs are expected to grow moderately from 2016 to 2026. The following table will give you a clearer picture of future job growth in this field. This set of statistics is also taken from BLS. In layman terms, firefighter’s jobs will increase at the rate of 7% from 2016 to 2026. In case, if you are interested in knowing the actual number of jobs created in this field from 2016 to 2026, then here are another set of statistics taken from the BLS. In short, a total of 23,500 new firefighter’s jobs will be created from 2016 and 2026. You will need at least a high school diploma or its equivalent to apply for the firefighter’s job. While these requirements will differ, typically you can expect to take written tests and pass physical tests. Once you clear this stage, you may be asked to appear for a series of interviews. Once you are considered a suitable match for this job, you will be asked to report at a fire academy for training. Fire academies are run by the local fire department or by the state and they provide a few months of training to entry-level firefighters. 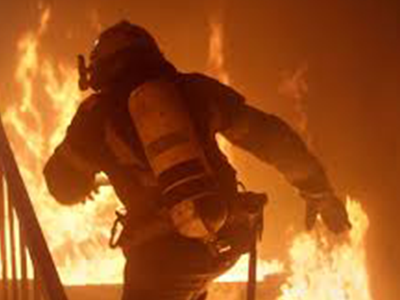 Your training will consist of classroom based learning and practical training in which you will learn firefighting and fire prevention techniques, emergency medical procedures and local building codes. You will also be taught how to fight fires with ladders, fire extinguishers, chain saws and axes. Once you have graduated, you will be put on a probationary period. Firefighters typically hold emergency medical technician (EMT) certification. In addition, your employer may ask you to be certified as a paramedic. For further information on these two certifications, you should visit the official website of the National Registry of Emergency Medical Technicians (NREMT). Becoming a firefighter is not an end in itself. In other words, you don’t have to be putting out fires for the rest of your professional life because there are career advancement options available in this field. Once you have become an entry-level firefighter, find out how to get promoted to engineer, lieutenant, captain, battalion chief, assistant chief, deputy chief and chief. However be mindful of the fact that after a certain level (typically battalion chief) you will need to have a 4-year college degree in fire science or related field for promotion. If you are truly interested in becoming a firefighter, then volunteer at your local fire station. This can help you later find a job there.